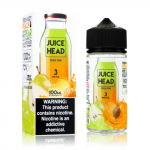 Juice Head is a delicious vape juice brand that will have your head going bonkers with just one puff. 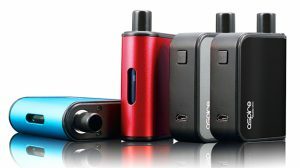 Juice Head vape juice has such succulent and authentic flavors that with just one puff you will feel on top of the world. 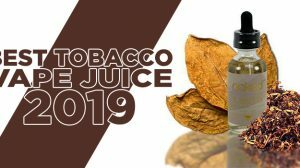 Juice Head takes the taste of fruits and turns them into a vape juice that tastes so much like the real thing that you will be seeing stars with every puff you take. Juice Head stays true to their vape juice’s name and brings you the flavor that is in the name in the most delicious form, manufactured by Streamline Vape Co out of Las Vegas, Nevada the brand is FDA registered and dedicated to crafting the best e-liquid flavors hands down! 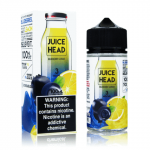 Juice Head Blueberry Lemon takes your taste buds on a wild adventure that will have you salivating for more. This vape juice takes a delicious twist on blueberries by combining it with lemon. As you inhale Juice Head Blueberry Lemon, the taste of blueberries will hit your taste buds. As you exhale, the blueberries will combine with the lemon in a tango across your taste buds that will have them as excited as can be. 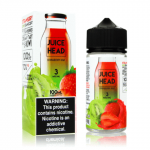 Juice Head Strawberry Kiwi is a world loved fusion that will satisfy your taste buds with every puff you take. 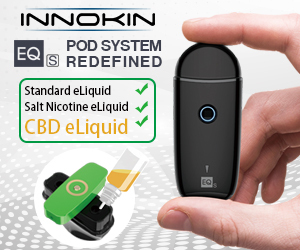 This fusion tastes exactly as it should and you will never want to vape another vape juice. As you inhale Juice Head Strawberry Kiwi, the taste of strawberries will flood your taste buds. As you exhale, the taste of fresh kiwi will combine with the strawberries to provide you with a flavor that you know and love. Juice Head Pineapple Grapefruit takes your taste buds on an adventure that you will fall in love with. This flavor is amazing in the way that it has the perfect balance between sweet and tangy. As you inhale Juice Head Pineapple Grapefruit, the tanginess of the pineapple will send your taste buds into a frenzy. As you exhale, the grapefruit will soothe your taste buds and leave them craving another puff time and time again. Juice Head Peach Pear is the vape juice you need if you’ve got a sweet tooth you can’t seem to kick. this vape juice is perfect because with every puff you take the sweetness will blanket your taste buds in the most delightful way. As you inhale Juice Head Peach Pear, the taste of sweet southern peaches will hit your taste buds in the most mouthwatering way. As you exhale, the fusion of peaches and pears will have your taste buds craving more. 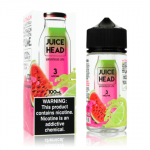 Juice Head Watermelon Lime takes the taste of juicy watermelon and sour lime will grace your taste buds with the wonderful combination. Juice Head takes authentic to a whole new level with this vape juice. As you inhale Juice Head Watermelon Lime, the taste of watermelon will dance across your tastes buds. As you exhale, the taste of watermelon will combine to create a flavor that has just enough sweetness and sourness that will have you going crazy. 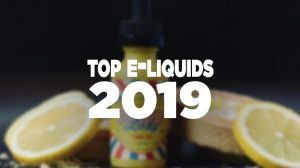 Juice Head vape juice brand that you won’t be able to forget. This vape juice brand takes you on a ride of flavors that will have you going crazy. 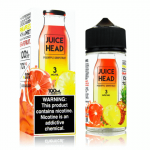 Juice Head provides your taste buds with authentic flavors that you will be in love with just one puff. 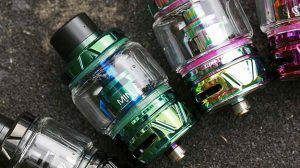 You will never want to put this vape juice down.